Faculty of Business and Finance academics, namely Assoc Prof Dr Lee Voon Hsien, Garry Tan Wei Han and Hew Jun Jie were recently awarded the “Most Downloaded” award by Telematics and Informatics (Elsevier, USA), for their research titled “The Interactive Mobile Social Media Advertising: An Imminent Approach to Advertise Tourism Products and Services?”. The research, which was co-authored with UCSI University, Malaysia academic Prof Ooi Keng Boon and Xiamen University academic Dr Wong Lai Wan, is listed as one of the Most Downloaded Telematics and Informatics Articles based on the numbers of downloads in the last 90 days. When asked about their motivation to conduct the research, they spoke about the change of tools used for advertising. “Tourism products and services, which were traditionally advertised by conventional tools such as television and newspaper, are now being advertised through mobile social media. Despite the significant benefits of using mobile social media to advertise, it is noticeable that many tourism organisations are sceptical if, particularly tourists, are ready to accept this new form of advertising. Given such observations, we thought that it might be contributory to embark a study that addresses the acceptance of mobile social media advertising among consumers,” said the researchers. “The Interactive Mobile Social Media Advertising: An Imminent Approach to Advertise Tourism Products and Services?” research also proposes an integrated framework that consists of Mobile Technology Acceptance Model, personal factors, and Interactivity Theory to understand consumers’ intentions to adopt mobile social media advertising in receiving tourism-related advertisements. The researchers analysed over 459 valid data using Partial Least Squares Structural Equation Modelling technique. The findings from the research also showed that most structural parts are consistent with past literatures, except for the relationship between personal factors and intention. The research also has a valuable contribution to academics, practitioners and society. “Theoretically, this study contributes to the marketing and tourism literature especially on the adoption of mobile social media advertising as a new form of advertising strategy. Practically, this study provides guidance and important implications for managers in improving the use of mobile social media advertising in delivering tourism-related advertisements. Through ascertaining the factors that may encourage consumers to adopt mobile social media advertising, new formulation of marketing strategies can be adopted by travel agencies, hotels, airline organisations, government agencies, mobile application developers and other tourism-related organisations. Finally, in terms of social applicability, the ﬁndings enable job creations and serve as an opportunity to increase the gross domestic product of the host country,” said the researchers. 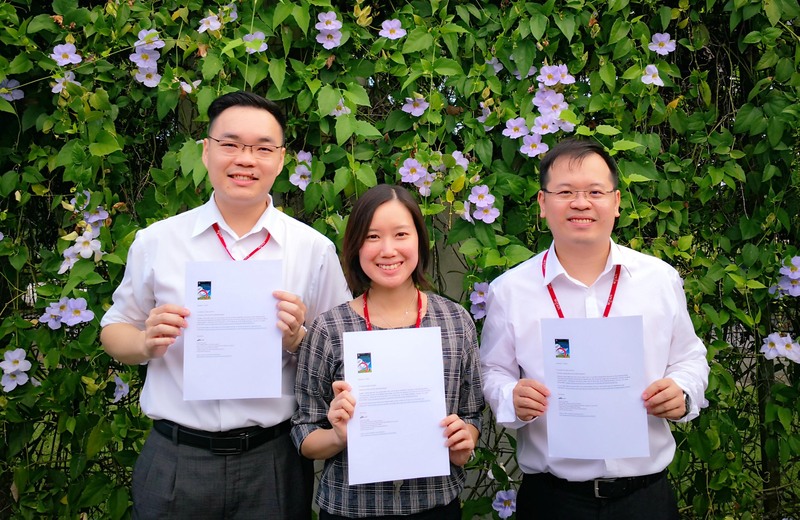 Dr Lee, Tan and Hew were previously awarded the “Most Downloaded Cert” for their research titled “Cloud Computing in Manufacturing: The Next Industrial Revolution in Malaysia”. The award was presented by Elsevier (USA)’s Expert Systems with Applications (ESWA) journal. They have also successfully published their research paper in a high-impact Elsevier journal, namely Tourism Management. The paper is titled “Mobile social tourism shopping: A dual-stage analysis of a multi-mediation model”. Telematics and Informatics is currently indexed with Clarivate Analytics under the Social Science Citation Index (SSCI), with an Impact Factor of IF = 3.789 as per JCR-2017. Click here to read more about the research.